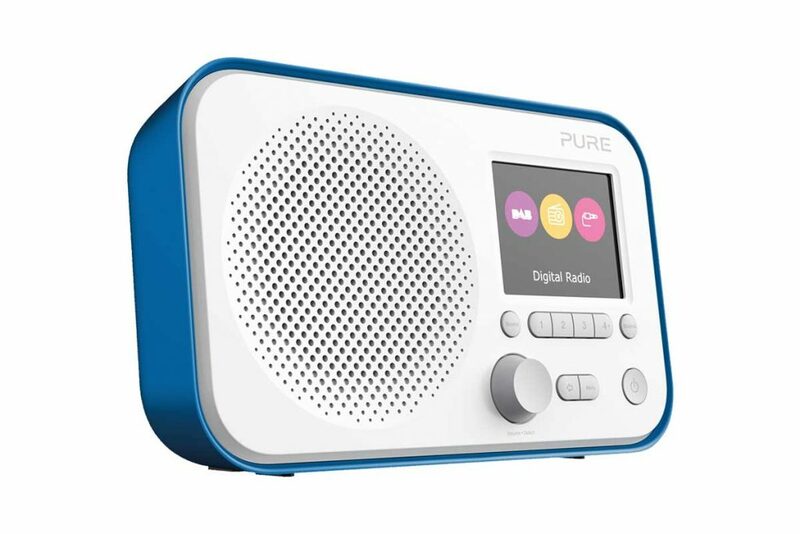 Pure’s new DAB, DAB+ and FM radio comes in three striking colours and boasts a full colour TFT screen. A large rotary volume control is found on the front of the set with buttons for power, menu, source, stations and presets. The volume knob is also used to select stations. On the rear of the radio is a telescopic aerial, a headphone socket, aux-in socket, power adapter socket and micro-USB connection for firmware updates. Perhaps acknowledging the radio could be used almost anywhere in the home Pure has added an alarm with sleep timer function as well as a countdown kitchen timer. There’s also a slot for AA batteries so the radio can be powered on the move. This means owners can use their own AA rechargable batteries and don’t need to purchase an extra pack specific to the radio. The Elan E3 is available exclusively from Argos. Pure’s three year warranty is included. One of the most useful features on digital radios is the scrolling text. When tuned into a station the display will show information about the song being played, the current programme and even news and sport headlines. High-end digital radios have included for some time a colour display for ‘slideshows’ – the full colour, graphical version of scrolling text with pictures, logos and additional information. The Pure Elan E3 introduces this type of display on a set costing less than £70. Measuring 2.8″ the screen should be viewable in all light conditions and is a nice change from monochrome two line displays still seen on many digital radios at this price. When listening to a station the display shows the station name, information text (such as a song or current programme), the current mode, a clock, signal level and a power indicator. Verdict: The colourful Elan E3's screen can display slideshows from digital radio stations - the first time we've seen this on a radio under £100.